Yesterday I was invited to the Kids Takeover of PizzaExpress on the Strand, for the unveiling of the recipe for the 2014 Let’s Get Cooking BIG Cookathon. The recipe for Easy Peasy Pizza was unveiled by foodie and father of five, Alex James (who I may or may not have had a MASSIVE crush on in the 90s), together with children from Kingswood Primary School in West Norwood, who were chosen as part of a national competition to take over the restaurant for the morning. The children, who were all aged 9-11, were amazing! Super polite and very, very lovely; they greeted us, seated us, got us drinks and then made delicious mozarella and mushroom pizzas for us right before our very eyes! They made it look, as the name suggests, very easy peasy indeed. And he is SO right. Cooking pizzas is a fab and very easy way to get kids involved in cooking (I've blogged about making pizzas before) - and is also a very good way to persuade them to try new toppings too! 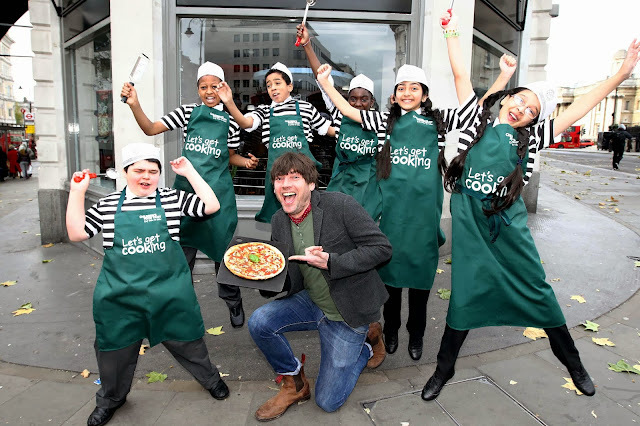 The unveiling of the new pizza, which was inspired by an original recipe from PizzaExpress’s founder, Peter Boizot, marks the launch of the Cookathon, which is run by the Children’s Food Trust. 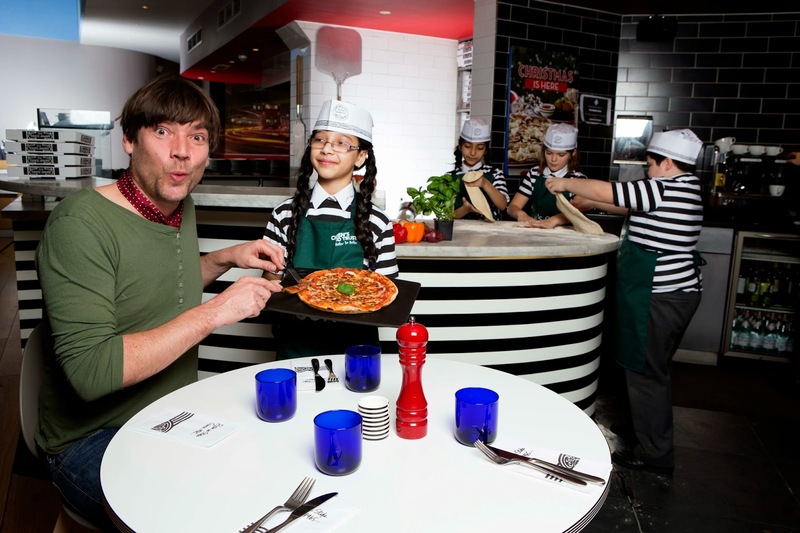 The 2014 Cookathon is supported by PizzaExpress as part of its ‘Getting Kids Cooking’ initiative and will take place on 4 April 2014. The Children's Food Trust runs 5,000 cooking clubs across the UK (including the one at Kingwood Primary School!) and its aim is to give children of all ages - as well as parents that don't cook - the skills and confidence to make meals from scratch. This is something you all know I’m particularly passionate about and I'm very excited to be a part of it. Next year’s Cookathon is set to be the biggest yet, and is open to the public for the first time. It aims to get as many people cooking the Easy Peasy Pizza recipe on the same day as possible. Daisy, Evie and I will be taking part for sure.